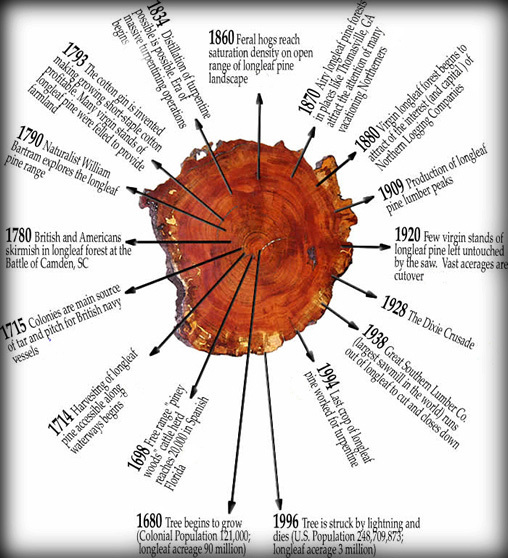 The American forest, specifically the Longleaf forest, was once one of our Nation’s greatest resources. “Heart Pine,” as it is referred to today, could mean many different grades of material, but it would predominately come from the Longleaf variety. 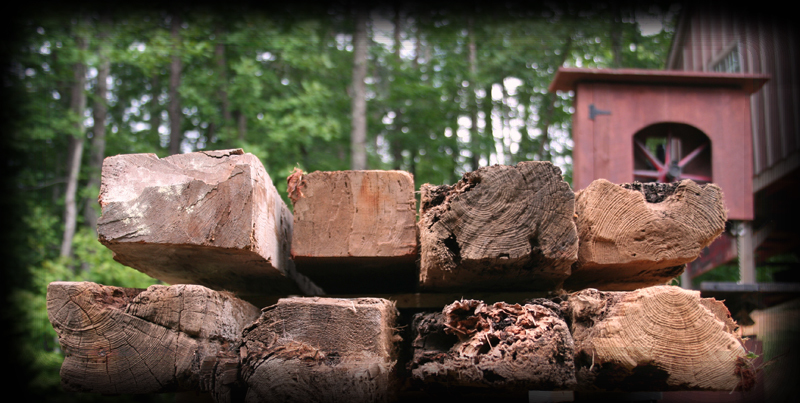 The highest grade of the material is reclaimed old growth. The reason is that as the timber has aged as part of a structure, the resin begins to darken, producing the rich red color that is not found in any other specie. Longleaf Heart Pine is a diminishing resource. 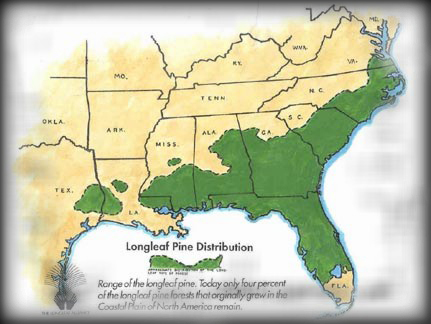 The original Longleaf range stretched from the tidewater of Virginia to central Florida, and then west into east Texas. Over 95% of the original range of the Longleaf had been logged out by the end of the 19th century. Due to a slow growth cycle, the Longleaf was not replanted on a large scale, as has been done with the Loblolly variety. In addition, the way that second and third growth pines grow today is quite different from how the old growth forest matured. It is a common misunderstanding that the southern lowland forest is strictly a pine forest. It may appear that way as one drives down the back roads through hundreds of miles of Loblolly Pines, but the old growth forest had a rich diversity of deciduous trees as well. The Longleaf had to compete for nutrients and sunlight under the shade of other enormous species such as the Live Oak. This slow growth cycle produced a very tight-grained tree with an extremely high amount of pitch or resin. Not only was the timber considered extremely valuable, but this pitch had numerous uses as well. Many old loggers can tell tales of trees that have a “Cat Face” cut into them. 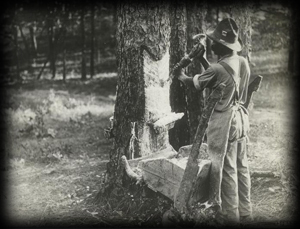 This process involved cutting the bark off a spot in the tree and attaching a small “L”-shaped piece of tin on an angle with a small bucket at the end. The tree would bleed the thick resin from this spot, and when the bucket was full it was taken to be processed into valuable turpentine. These products were critical building components in our nation’s early ship building industry. 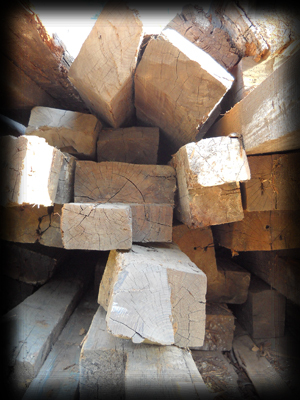 Today the best source for true “Heart Pine” is in old buildings where it has withstood the elements for centuries. 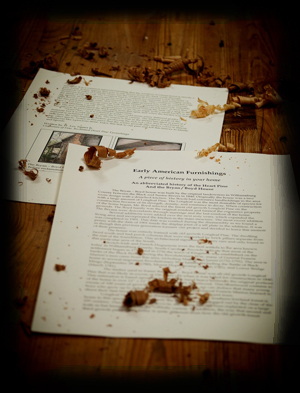 Early American Furnishings specializes in turning this reclaimed timber into beautiful home furnishings. 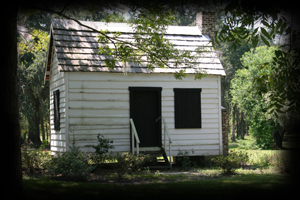 We search the Southeast to find old buildings that are then carefully dismantled and processed into beautiful material. Extensive historical research is done in order to provide authentic documentation of the age of the material, the history of the building, and the story of the people who were its occupants.